Your employees are your secret weapon and your competitive advantage. Imagine how your business would thrive if you could multiply your workforce’s impact without adding to the payroll! 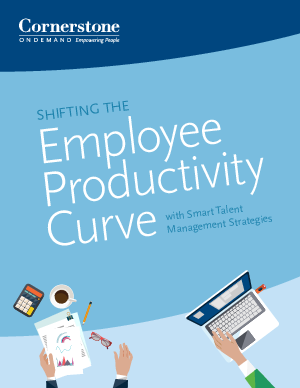 Through 5 talent strategies, your organization can do just this by increasing the productivity of each employee. What the employee productivity curve is and how shifting the curve impacts your organization's bottom line. 5 practical measures you can take to enhance employee productivity. Stories of organizations that have successfully shifted the curve. Your organization has already seen how adopting talent management solutions can impact employee productivity. Download this paper to learn what else your organization can do to shift the curve even further.